You lucky duckies get to make and assess your muslins with Rachel tomorrow, so in preparation we're going to have a little look at flat measuring your pattern. Pre-empting any fitting woes and adjusting your pattern pieces before you make a muslin can be really helpful. It eliminates obvious problems from the start and allows you to use your muslin to focus on the trickier fitting issues at hand. All you need are your various body measurements, your pattern pieces, a ruler and/or measuring tape and a pencil or pen. Unless you're extremely fortunate, you'll probably have certain pattern adjustments that you know you have to make each time you tackle a new sewing project. For me these are usually all about shortening - long sleeves, the bodice, shoulder width and skirt pieces. The amount varies depending on the pattern, and sometimes I'm even pleasantly surprised! I knew I wouldn't get lucky with the Dakota Dress though, as Named patterns are designed to fit an average height of 172cm / 5ft 8”, and I'm just 160cm / 5ft 3". So, I started with the sleeves and the knowledge that my shoulder-to-wrist measurement is 53cm. I marked the 5.5cm excess on my pattern piece. Then I folded the excess over. And finally I tidied up the sides by cropping them a little. I did exactly the same for the bodice pieces. They measured 42.5cm and I know that I'm 40cm from my nape to my waist. 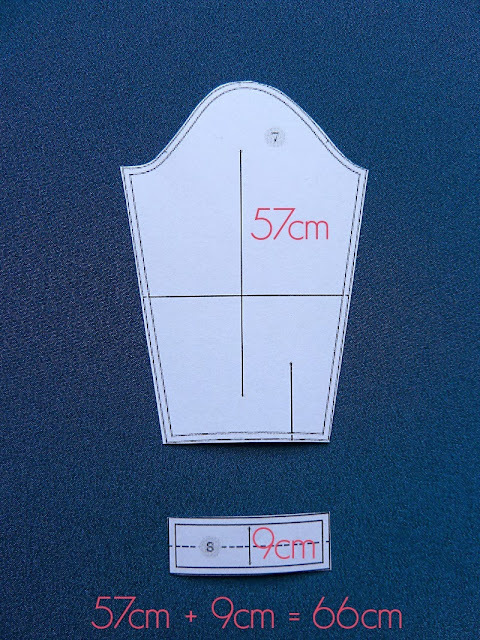 So I marked the excess 2.5cm on my pattern pieces, folded down and tidied the sides. Make sure that whatever changes you make to your bodice pieces you transfer to your collar facing too! Unusually, I didn't have to adjust the shoulders. However, if I did then I would have added the excess to the back shoulder dart (basically increasing the size of that dart) and I would have drawn the excess as a 'dart' on the front shoulder and pinched/folded it out of the pattern piece. These adjustments are very specific to my needs, but Rachel will be covering lengthening pieces in a future post soon, so you'll get help in that department too! 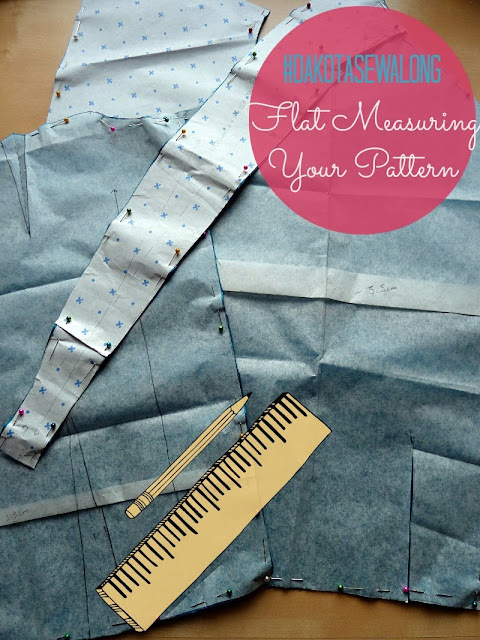 I first learned about flat measuring patterns from the insanely talented Casey of Elegant Musings, during her Swing Dress sewalong - you may also like her posts on adjusting for length and sleeve cap ease. Gertie has also published a roundup of helpful links for bust alterations, but watch this space on Thursday because Lazy Stitching's Alana is sharing a KICKASS grading tutorial tailored specifically to the Dakota!!! Nice instructions on pattern adjustments after measuring! I only started to do it this year and it's made such a huge difference! Did you shorten the cuff also? I've been told that is done to keep all in relative size.